Back in 2012 we tripped over the most amazing island off the coast of Belize called Caye Caulker. It’s a small island, not much more than a mile in length with no cars just golf carts and bikes. While being well established on the back packer circuit we felt there was a great opportunity to add some higher end properties to the mix so we did. Here are our first 4 homes in the small enclave we developed with 3 other partners who can offer additional accommodations if ours are booked. It has been a great success and we’ve been getting rave reviews so if you fancy a change from the snow and want to try something a little different here you go! 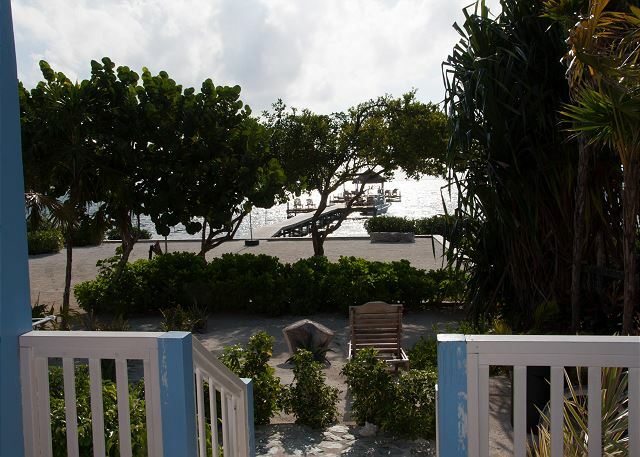 There are a ton of restaurants with the best fish food imaginable at prices you won’t believe, the bar scene is great and the Split has probably one of the best beach bars you’ll find in the Caribbean. Completed in June of 2015 Barbara's Beach House represents the second phase of building that also makes up Laura's Lookout and Sandy's Secret. Located at the West End of our private pool, Barbara's is a three bedroom house, situated perfectly to ensure that you can enjoy the best that our quiet secluded lot has to offer while still having easy access to the airstrip or the main town of Caye Caulker which is just a 5-10 minute bike ride or a 10-15 minute walk away. 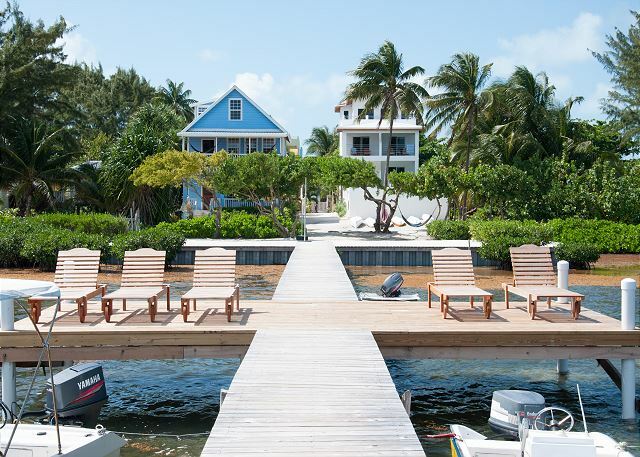 Back in 2012, we started building Laura's Lookout on a beach front lot located on South Caye Caulker, north of the current airstrip. 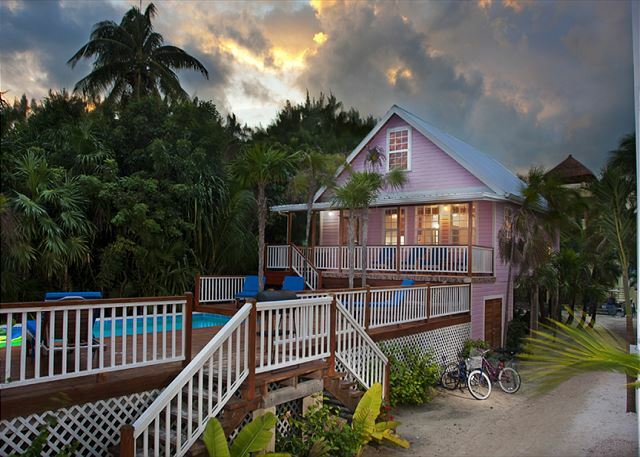 Conveniently located only a short 5 minute bike ride or a 10 minute walk to the downtown area, the house and it's surrounding area retain the unspoiled, quiet nature Caye Caulker is known for. The interior layout is perfect for either a family or group of friends, with two bedrooms with queen beds and a full bath downstairs and a more private Master suite upstairs, with two twin beds that convert into king bed if you would prefer, again with it's own full bath. 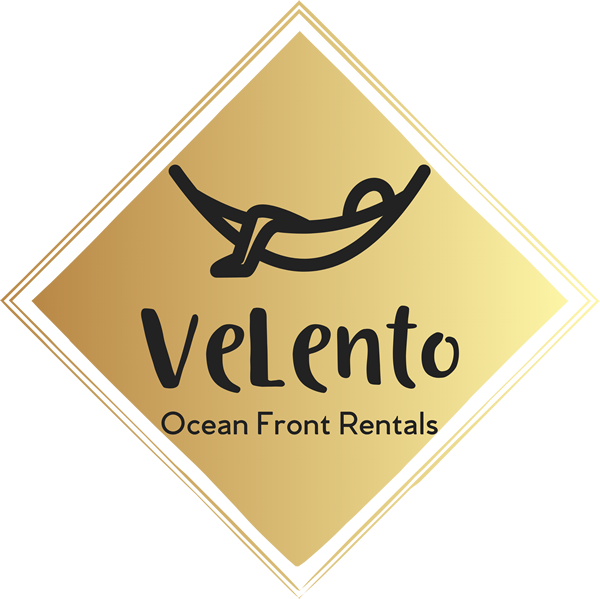 This is a new addition to our other 3 properties Laura's Lookout, Barbara's Beach House and Sandy's Secret which are all located in our private Palmetto Beach Resort enclave. This really beautiful addition is spacious and can actually accommodate 4 guests with a futon in the living room. We built the bathroom so that it can be entered both through the bedroom and separately from the living room for privacy at night. This property is located underneath Barbara's Beach House, having had so much success with Sandy's and Laura's lay out way we decided to build underneath Barbara's.